Yoga in modern times is becoming so popular that it is hard to know what it’s truly about. You can rock down to any street corner and find some sort of yoga going on: Vinyasa, Astanga, Bikram, Hatha, Iyengar, Power, Yogalates, you name it – it’s out there and it’s all a bit confusing, right? To dispel the myth, yoga is not only a form of stretching, but a philosophy for living that encompasses far more than the pretty poses you see. Today’s hybrid styles of yoga have strayed far from the traditional teaching but this has only enhanced what yoga can and does encompass. So what are all these styles of yoga? How do they fit in? And what is best for me? Well, it is quite simple, most of the yoga styles you see today in the western world that are body-posture focussed are based on the traditional style of hatha yoga. Hatha yoga is one of the four main yoga styles of traditional teaching. 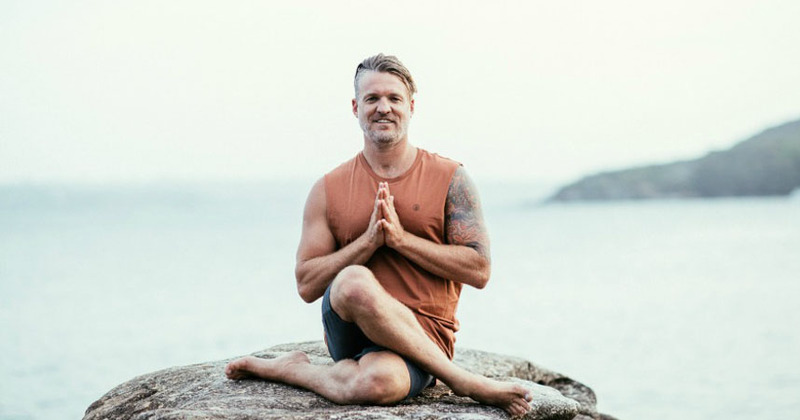 Just dealing with hatha yoga, most of the styles you hear about are just names of the people who have created their version of hatha yoga, like Bikram and Iyengar – both great yogi master names. Most people in the west are really doing the same style of yoga, hatha, just a person’s different interpretation of the traditional teachings and also new creations within the style. Hatha yoga is often translated to mean ‘sun and moon’ but a more literal translation is ‘forceful’. Sounds misleading right, forceful and yoga? Wrong! What is meant by forceful is that hatha yoga uses postures to place forces on the body to move and awaken pranic (life force) energy. This prana is similar to the ‘chi’ energy of the martial arts world and is unable to be seen but rather felt as vibrancy and aliveness in the body and of your spirit. It is this energy that eventually rises to spin all the chakras and open you up to self-realisation – but let’s not get too esoteric just yet! Within the hatha yoga style most of the western world’s yoga is based on the philosophy of calming the fluctuations of the mind so we can realise our nature free of thoughts and feelings. That’s a lot on offer right? Yes, but it is possible to experience with a committed practice. Even after a few classes you can feel the impact it has on you, the body feels supple, the mental noise quietens and you feel connected and open as an individual free from the day-to-day stress that plagues our repetitive mind! Within hatha yoga you really get two types, a static practice that can vary from very gentle movements often called traditional hatha to more strenuous styles of a static practice like the popular Bikram ‘hot’ yoga. The second type of hatha yoga is the vinyasa or flowing styles like astanga and power yoga. These styles are usually more dynamic and are often attractive to type A personalities as they provide a great physical challenge as well as the spiritual effects of stilling the mind. To find the right style for you, you might need to try a few as they vary greatly from style to style and teacher to teacher. Most of the classes will discuss the postures and how to align yourself for safety and greatest effectiveness. More experienced teachers will talk about the philosophical side of yoga which aims to transcend the ego to free ourselves and move towards spiritual enlightenment. This talk can sometimes sound too mystical and often out of reach, but in reality, they are very simple teachings that require experience to learn. Be aware of our diet and eat fresh and vibrant foods. Maintain healthy body postures with a balance of strength and flexibility. Don’t judge yourself or anybody else. See the unity of spirit in all of us and celebrate the diversity of our human form. Disassociate from your thoughts and observe them as a silent witness. Disassociate from your emotions and observe them as a silent witness. Be present to the moment and notice thoughts and feelings drawing you away. Feel that you are an observer and connected to a greater power of the universe. So, if you’re not already doing it, get down to one of the Yoga centres close to you and see if it suits you, if not, try another. There is a style of yoga out there for everyone but no one style will suit all. Not only will you get great physical benefits, you might even learn how to eliminate stress from your life and see a great inner depth that has eluded you until now! Be still and be present, enjoy your search and remember that happiness is in the journey.